Already complete and being put to good use is the College’s new gazebo near the track. 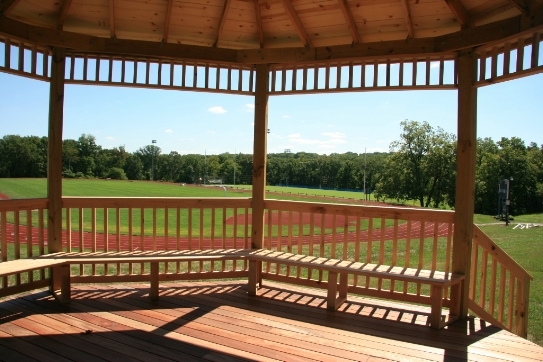 It’s the perfect place for runners and walkers to meet up, stow belongings while they work out, or relax for a bit after their trek around the track or campus trails. Read more. The biggest upgrade to athletic facilities on the School campus is the switch from grass to synthetic turf on McCandless Field. The new field will be able to support multiple teams and can be used during inclement weather. This will help immensely with scheduling pressures and give both Upper and Middle School athletes more opportunities to practice and compete. The new field should be ready for action by mid- to late-September.